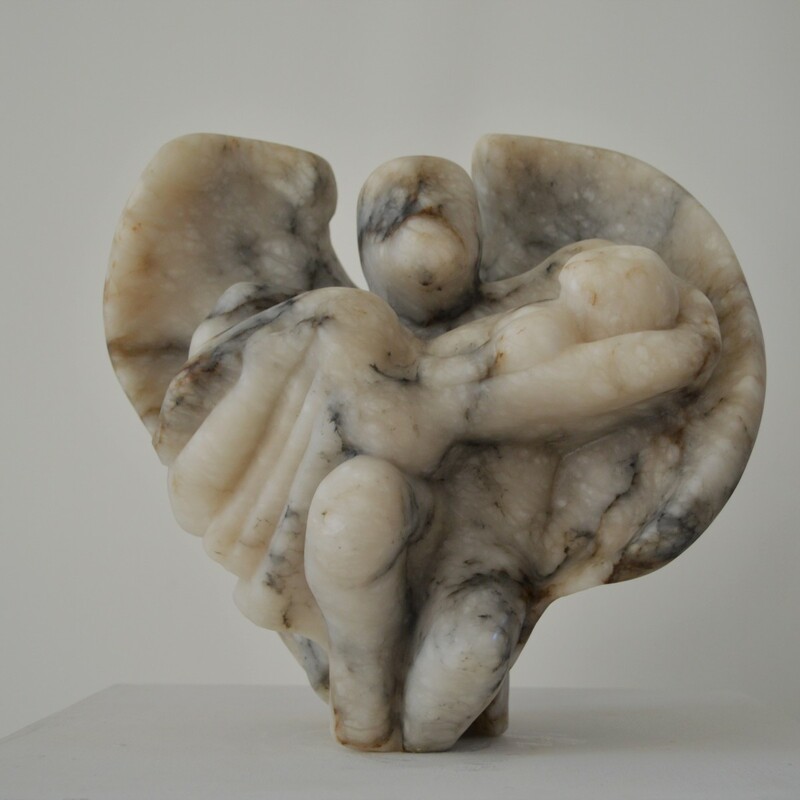 The angel is carrying a girl who has an injured chest ( a natural hole in the stone). One wing is rapped around her signifying care. His face has markings which look like a super hero’s mask and as he has a rye smile on his face and his knee is bent ready to power into the air.